Captain Doug “V8” Verissimo, is a native of Falmouth, Massachusetts. He graduated from Cape Cod Community College with an Associate’s Degree in Arts and Science in 1987. He was accepted into the Naval Aviation Cadet (NAVCAD) Program and reported to NAS Pensacola, Florida, for Aviation Officer Candidate School. Upon completion of flight training, he earned both his commission and wings of gold in July 1989. CAPT Verissimo reported to the Fist of the Fleet, (VFA) 25, flying from the deck of the USS INDEPENDENCE (CV 62), the USS MIDWAY (CV 41), and the USS CARL VINSON (CVN 70). During his tour the squadron participated in Operation DESERT SHIELD. He then went ashore to complete his bachelors’ degree at California State University, Fresno, before reporting to (VFA) 125 for refresher training as an instructor pilot. While with the Rough Raiders of (VFA) 125, CAPT Verissimo was selected as a member of the U.S. Navy Flight Demonstration Squadron: the Blue Angels. >p>CAPT Verissimo then reported to USS JOHN C. STENNIS (CVN 74) as the Catapult and Arresting Gear Officer, deploying in support of Operation SOUTHERN WATCH. From there he reported to the Blue Blasters, (VFA) 34, deploying aboard USS GEORGE WASHINGTON (CVN 73). During his tour, the squadron participated in Operations ENDURING FREEDOM and SOUTHERN WATCH. Soon after his selection for command he reported to the Gunslingers, (VFA) 105, deploying in support of Operation ENDURING FREEDOM and IRAQI FREEDOM. He served his post-command tour as the Executive Assistant to Commander, Naval Air Forces Atlantic, and was accepted to the Joint Forces Staff College, graduating with a master’s degree in Joint Strategic Planning. 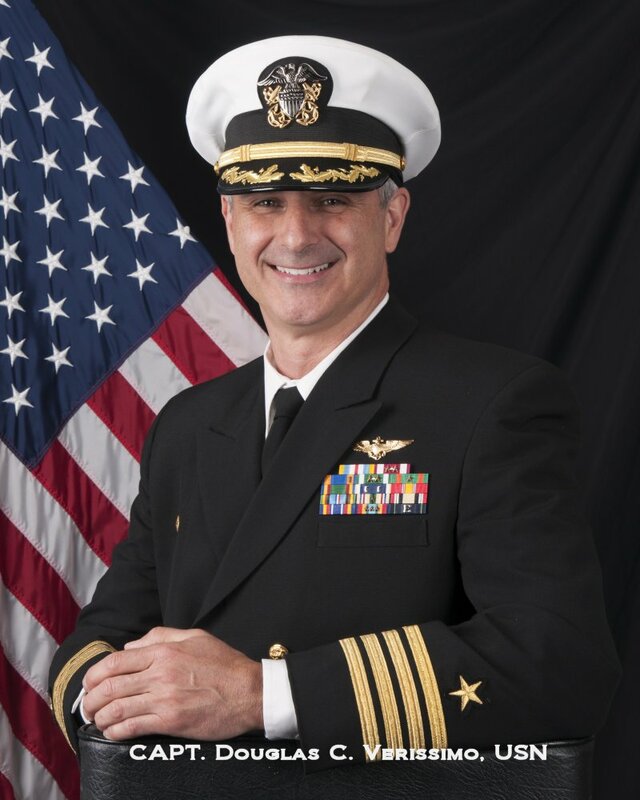 After selection to major command, Verissimo completed his training in Navy Nuclear Propulsion and served as Executive Officer aboard USS THEODORE ROOSEVELT (CVN 71). He then reported to the Joint Staff J35, where he served as Joint Force Coordination Division Chief. 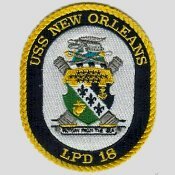 CAPT Verissimo took command of the amphibious transport dock ship USS NEW ORLEANS (LPD 18) on 30 May, 2014. CAPT Verissimo has accumulated over 4,000 flight hours and made 535 arrested carrier landings. His personal decorations include Defense Meritorious Service Medal, Meritorious Service Medals, and an Air Medal.